Love Bread is recruiting a bread baker for their community bakery in Brighouse. Some experience preferred, and hours to be negotiated but will include very early mornings and some weekends. They are also looking for volunteers to join their friendly team. Regular slots in the bakery, plus workshop and teaching help and delivery driver vacancies. Please contact baker@lovebread.org.uk for more information or to arrange a visit. This entry was posted in Brighouse, Get Involved / Have Your Say and tagged Love Bread CIC, volunteering. Through funding from Tesco ’Bags of Help’ scheme, LoveBread CIC are pleased to announce an exciting new project; Brighouse Baker Boys. Taking place on Monday evenings in our community kitchen in Martin Street, our male bakers and volunteers will run free workshops for men (and boys aged 11 and over) to learn how to bake different breads over 5 sessions. It is open to individuals, sons, fathers and grandfathers, friends and colleagues. The common link will be a social event for boys and men to meet with a real purpose. Brighouse Baker Boys will provide time and space for boys and men to develop bread making skills and improve health and wellbeing. The next course is Monday 25 June – Monday 23 July, 6:00pm-8:00pm. There is a £10 deposit required, refunded at the successful completion of the course. At the end of sessions, participants will have their own bread, which they will have created themselves, learning new life-long skills as they produced it. We will encourage them to share their product, and think about how they and the recipients will feel about sharing the food which they have produced. Bread making is increasingly recognised for its therapeutic properties. Time, patience and focus are all important skills to develop. 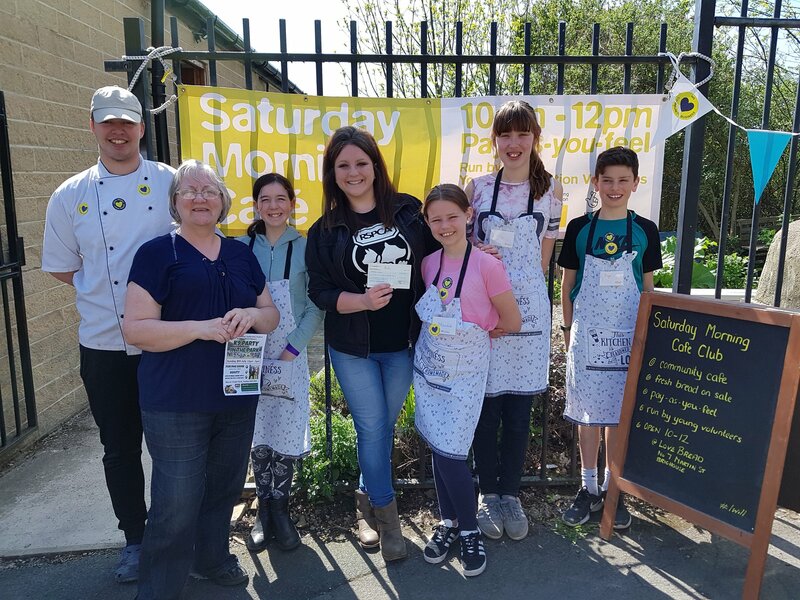 There will be further opportunities for participants to become involved as volunteers with our bakery, leading to increased employability and chance to further develop skills and expertise. On successful completion of all 5 workshops, participants will be presented with a baking kit and workshop recipe sheet and be refunded their £10 deposit. It is anticipated that interest will be high and there are only a limited amount of places, so early application is encouraged by booking a place through Eventbrite. This entry was posted in Brighouse, Events, July, June and tagged Love Bread CIC.